St. Patrick’s Gateway, 8th July at 8p.m. The Peterson Family Bluegrass Band will be performing at the Gateway Centre on the 8th of July starting at 8pm. 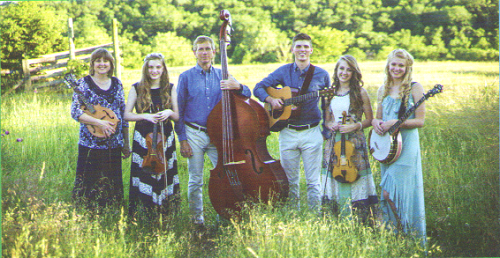 From Branson, Missouri, U.S.A., the Peterson family are a six-piece award winning bluegrass band. They perform regularly at The Little Opry in Branson as well as touring. Making their second visit to Ireland, the Petersons previously enthralled audiences with their superb sibling harmonies and Musicianship. Their material ranges from the Classic Bluegrass of Bill Monroe to the more contemporary sounds of Alison Krauss and Union Station. They also perform gospel, country and swing – add to that some twin fiddling, yodeling and original songs and you can be certain that the future of bluegrass is in safe hands. Venue: St. Patrick’s Gateway Centre, Patrick Street, Waterford. This entry was posted on June 22, 2017 by waterfordarts in Concert, General, music, Performance, Venues and tagged Arts & Entertainment Waterford, St.Patrick's Gateway Centre, what's on in waterford.